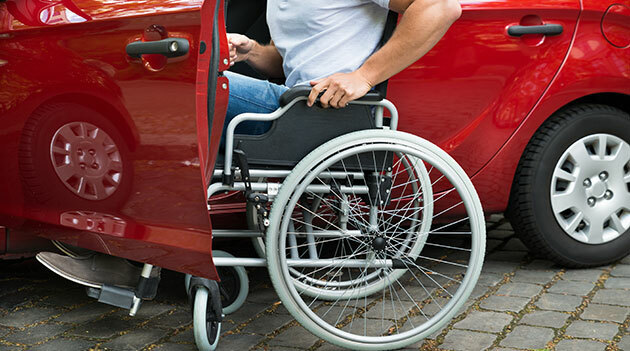 Before applying for a permanent disabled license plate, make sure you qualify with your state motor vehicle agency. Lack full use of a leg or both legs. Cannot walk a certain number of feet without stopping to rest (most states use 200 feet as the gauge). Cannot walk without the assistance of a cane, crutch, brace, prosthetic device, wheelchair or another person. You have an arthritic, neurological, or orthopedic condition that severely limits your ability to walk. You have a lung disease from which the forced expiratory volume for one second, when measured by spirometry, is less than one liter, or from which the arterial oxygen tension is less than 60 mm/hg of room air at rest. You are permanently blind or visually impaired. An Advanced Practice Registered Nurse (APRN). After completing, mail it to the address listed on the application, or deliver it in person to your local DMV office (some states, like Connecticut, for instance, also allow the use of e-mail and fax). Many states do not charge for permanent disability license plates. The permanent plate must be affixed to your vehicle. With it, you'll be allowed, in most instances, to park at spots specifically designated for people with disabilities and at parking meters. Bear in mind that states are extremely particular about the use of these plates. A family member who is in perfect health, for example, cannot use your vehicle to park in designated handicapped parking spaces.